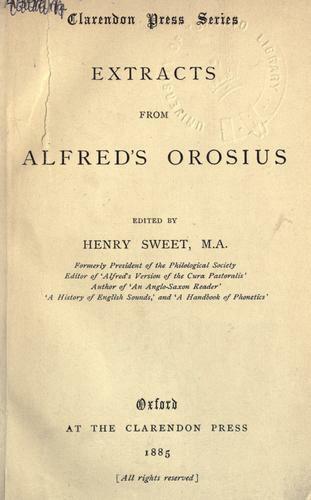 Are you sure you want to remove Extracts from Alfred's Orosius from your list? in English, Old (ca. 450-1100) - 2nd ed. Extracts from Alfred's Orosius. : Edited by Henry Sweet.